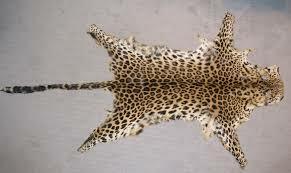 A RECEPTIONIST at a local hotel and her brother appeared at the Harare Magistrates’ Court yesterday on allegations of contravening a section of the Parks and Wildlife Act for illegal possession of a leopard skin. Tariro (38) and Telmore Madzamba (34) were not asked to plead when they appeared before magistrate Josephine Sande, who remanded them in custody to today for bail ruling. It is the State case that on March 22 this year, detectives from the Minerals and Border Control Unit in Harare, received a tip-off that Tariro and Telmore were in possession of a leopard skin which they were selling at Sunningdale shopping centre. The State alleges the detectives proceeded to Sunningdale shopping centre and posed as potential buyers to Telmore, who allegedly opened a carrier bag containing the leopard skin and demanded $1 500, leading to the pair’s arrest.